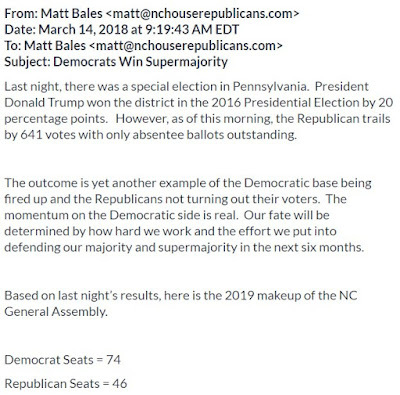 Dr. Michael Bitzer put us onto a leaked email from the NC Republican House Caucus director, projecting what the election of Conor Lamb in Pennsylvania and the coming blue wave will mean for Republican control of the NC House. The caucus director cruelly predicts that when the dust settles, there'll be just 46 Republicans left. It's his job to scare the bejesus out of his crowd and get them motivated. But the scare tactic may turn out to be prophecy. May it be so. 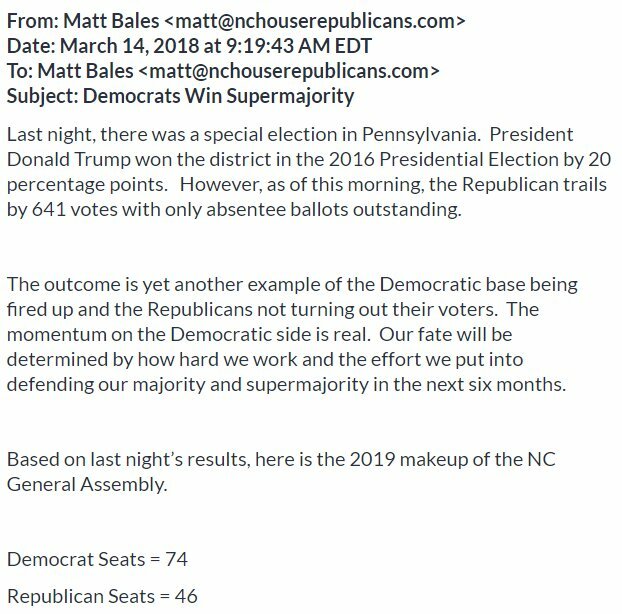 Lots of Work to do, Dems...Get fired up. 46 would still be way too many left.